Shana Bellin is the Managing Director of Corporate Crossroads, a Sydney-based management consulting, executive coaching and training company. She is a gifted coach and teacher with thirty years experience in facilitating significant changes for corporate and individual clients. She has created and taught corporate development and personal growth courses in the USA, England, New Zealand and Australia. Shana was born and educated in the USA. She embarked on a career in radio and television. For six years she produced a television show called Requestfully Yours featuring such well-known artists as Frank Sinatra, Tony Bennett and Sarah Vaughn. Shana left her career in radio and television to raise three children, her second career! In 1981, Shana started on her third career. 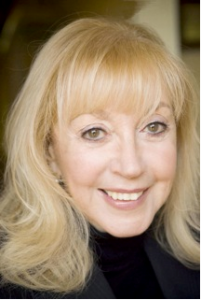 She trained in Contextual Psychotherapy with Dr. Robert Shaw in San Francisco; received her Master Practitioner certification in Neuro Linguistic Programming with Dr. Richard Bandler, Dr John Grinder and Dr Annie Lennox, of the New York Institute of NLP. She is certified in Clinical Hypnosis, receiving her degree from the New York based American Ethical Society of Clinical Hypnosis and is certified in Ericksonian Hypnosis, by Hawaiin based Dr Tad James. Shana is a registered clinical hypnotherapist with the Australian Hypnotherapist’s Association. Shana came to Australia in 1984 and began writing and teaching personal growth courses, providing executive coaching, corporate training and working in private practice as an executive coach and consultant. Working with her husband Walter Bellin, Shana began work on the development and training of managers and leaders in the fields of leadership, culture building, team building, communication and career navigation. Her clients are predominantly senior and upper middle managers from companies such as ATT, IBM, Bell Telephone, MacDonalds, Westpac, Microsoft, Citibank, Keycorp, Macquarie Bank, Albion Steel, Resource Finance Corporation and a range of government departments. Her group training in both the public and private sectors has been very extensive, with over 35,000 participants since 1982. Shana is insightful, inspirational and adept at bringing successful people to new heights of super competence and performance. In order to broaden the influence of her work, Shana is currently writing a book based on her personal and professional experience.